Hailed as the first truly high-quality portable cardiac ultrasound, the Acuson Cypress has a history of high demand and satisfactory performance. Even after Siemens purchased Acuson, and stopped production of this cardiac ultrasound, this machine’s loyal following has barely waned. From the operator’s point-of-view, the Acuson Cypress emphasizes a streamlined workflow for improved patient outcomes. You’ll discover advanced ergonomics for ease-of-use and system friendliness. With the CypressViewer ultrasound software, you can easily connect to your network for offline visualization. Lastly, the Acuson is not only portable, as it can easily transition from a mobile device to a cart-based system, allowing versatile patient access and system flexibility. 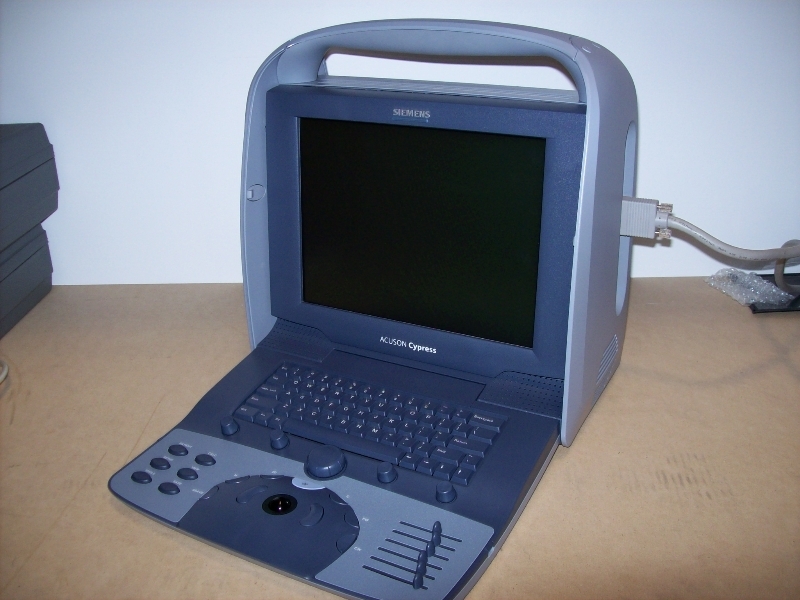 The Acuson Cypress portable ultrasound machine is “The Little Engine That Could” of portable ultrasounds for sale. Its history is long… many manufacturers have tried to duplicate its excellent cardiac image quality, but this portable ultrasound remains the diamond-in-the-rough. When Siemens purchased Acuson, it cancelled this product, which was probably one of their biggest mistakes.